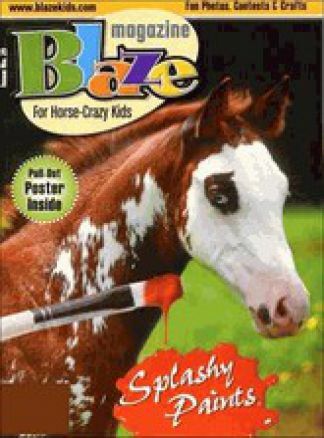 Blaze Magazine is for horse-crazy kids ages 8-14 years old. Blaze Magazine is an award-winning discovery magazine about horses, kids who love them and the world they share. An interactive magazine, Blaze keeps the fun in horses and learning. Blaze Magazine is full of fun facts, games, posters and activity newsletters. Blaze Magazine is every child's ride into the wonderful world of horses!